As the weather starts to draw in, and you start to think about digging jumpers and coats out of the wardrobe, you might think it's time to pack the barbecue away. Although it's probably past the time of year for you to be standing in front of a blazing grill in your shorts and “Kiss The Chef” apron, you might still get a bit of traction out of that unused bag of charcoal yet. 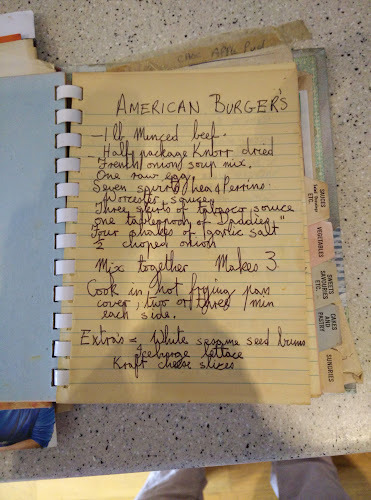 Readership, you may recall that I have been playing around with the notion of smoking my food. Certainly, our recent trip to Seahouses and the beautiful kippers and smoked prawns that they served up sharpened my appetite for all things hot-cured. Let's not forget, autumn is a time of bonfires and woodsmoke. Why not use that to our advantage? Now, my slightly cobbled together smoker is a testament to what can be done with an unassuming starting point–to whit, a lidded barbie from B&Q that we picked up half price a few years back. It's never really done the job, sadly, somehow managing to take ages to come up to heat. I'm an impatient man when dinner time is near, and it's very tempting to just slap that steak on my cast iron griddle, especially if I'm just cooking for the two of us. But really, a lidded barbecue is all you need to start smoking. WIth the addition of a thermometer that gives you the optimum temperature for cooking with smoke, you're away. Now, I mentioned that I'm not a patient man, but this method of cooking will teach you how important that virtue is. There are no shortcuts when you're smoking food. When you're cooking ribs or a pork shoulder, you need to be thinking in terms of 12 hours or so, 8 at a bare minimum. Fish or chicken won't take as long. Maybe six hours. 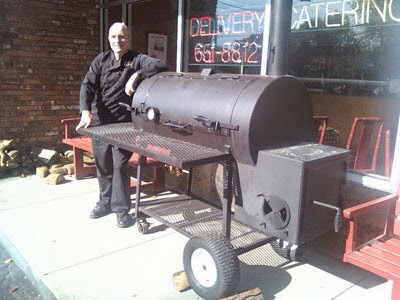 The serious players in the US barbecue scene put their meat on overnight. The really dedicated guys sleep with their ovens, all the better to tweak the temperature or wood mix. Slow and low, that is the tempo. The Beastie Boys said that, and who are we to argue? Do not allow your coals to go over 225 degrees (farenheit, that's about 110 celcius). I find it's best to just use one of those little bags of self-lighting coals, which will heat up and cool quickly, but hold enough residual heat to keep things ticking over nicely. If I need to change over, It's just a case of covering the meat in foil while I dump another bag in. 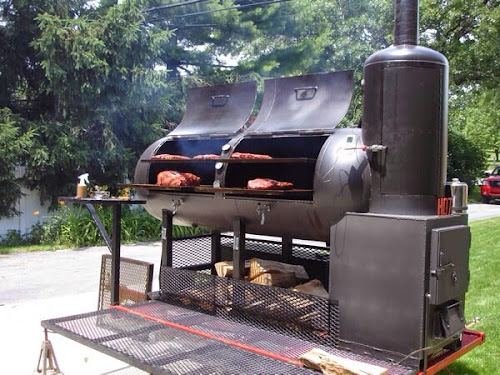 You'll need wood in there as well, of course, soaked for an hour or so beforehand so they'll smoke rather than burn. Some barbies have a tray in which you can spread the chippings. If not, just form a rough bowl out of a couple of sheets of foil and pop the wood in that, next to the meat or fish. A sturdy jug of water will help to keep the atmosphere in the oven nice and moist too, helping the smoke to permeate deeper into your dinner. The choice of wood is yours, and most garden centres have a reasonable selection (or, of course, there are online resources). Oak's better for fish and chicken, the more robust flavours of mesquite work brilliantly with beef and pork. Play around, see what works. IIt may sound perverse after you've got up at six in the morning and spent all day watching a barbecue puttering away, but it's really nice to char your meat a little on a grill once it's smoked. It's the double cooking that makes the end result so mind-blowing. We had some pork ribs recently that, after 8 hours smoking, I drenched in Sweet Baby Ray's (the one and only barbecue sauce, accept no substitute) and blasted on a hot griddle. The end result was full of smoky flavour, absurdly rich and unctuous. Even TLC, who normally won't go near a rib, had three or four. It's early days for me with this technique, and I'm absolutely guaranteed to have messed something up (all advice, hints and tips welcome, drop 'em in the comments if you would be so kind). I haven't even touched on the complex subject of wet and dry rubs, marinades and sauces. Again, any suggestions are very welcome. But I'm eyeing up the bag of chicken in the freezer, thinking about a big bag of prawns, maybe a side of salmon. And considering how nice the sharp autumnal air in my back garden is going to smell with the sharp tang of woodsmoke in it. And we're back. After a long hot summer, in which the last thing on my mind is sitting in X&HTower's screening theatre (plush and opulent though it may be), the weather has turned appropriately autumnal. Time to close the blinds, fire up the projector and dig into the teetering pile that is the Unwrapped archive. Today's choice was informed by the fact that Peter Strickland's The Duke Of Burgundy has lit up the Toronto Film Festival. 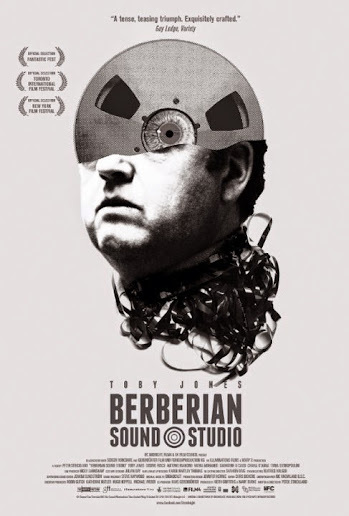 Time to look at the movie that brought his name to the public eye: Berberian Sound Studio. Plot dump approaching, topped with the red flag that is the Spoiler Alert. 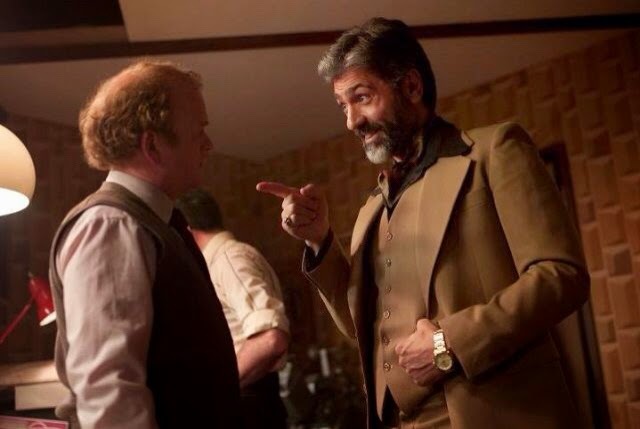 Shot on a tiny budget on location at Three Mills Studio in East London, Berberian Sound Studio is a prime example of a film-maker getting the most out of his environment. There's no questioning the authenticity of the production design, and the attention to period detail is astonishing. If you're a fan of old film gear, be prepared to fangasm now. I was especially pleased to recognise an Albrecht sound follower: a piece of kit that I still use on a near-daily basis. The action is kept completely indoors. There isn't an exterior shot in the film, adding immeasurably to the airless, claustrophobic atmosphere. It's all artificial light, pools of darkness, empty corridors. The word that kept springing to mind while watching the film was Kafkaesque. Gilderoy is an outsider, floundering in an environment in which he doesn't understand the rules, where he keeps making the wrong impressions. His efforts to reclaim expenses are thwarted as the accounts department claim there's no record of him flying to Italy in the first place. 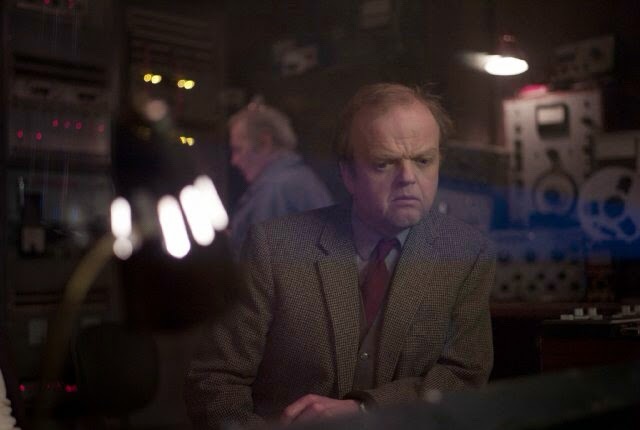 As his work in sound-designing the film starts to become an ordeal, the walls and dark rooms of the Berberian Sound Studio start to look ever more like those of a prison—or an asylum. Let's make one thing clear, directly from the lips of Santini, the maestro behind The Equestrian Vortex, the movie on which Gilderoy labours. This is not a horror film. Sure it takes plenty of cues from the mise en scêne of giallo. Just look at the black gloves of the never-seen projectionist, the pumping, Goblin-like soundtrack from Broadcast. The film is full of attractive Italian voiceover girls, of just the kind that would find a horrible end in yer typical Eurohorror. But if you're looking for gore, best keep looking. The only things to see the edge of a blade in this movie are the fruit and veg that Gilderoy attacks to provide the sound effects for Santini. We don't even see a single frame of the film itself that the diminutive sound engineer reacts so strongly against. That being said, the sight of a witch being vaginally violated with a red-hot poker, the scene that causes Gilderoy the most problems, is one that I could do without. Strickland's refusal to bow to expectations as to what Berberian Sound Studio is or how events in the film pan out have led many to view the film as a frustrating experience. I understand that. The film is deliberately slippery, dodging away from genre tropes and formula story beats. Santini isn't an anagram for Satan, however hard you try to make it so. 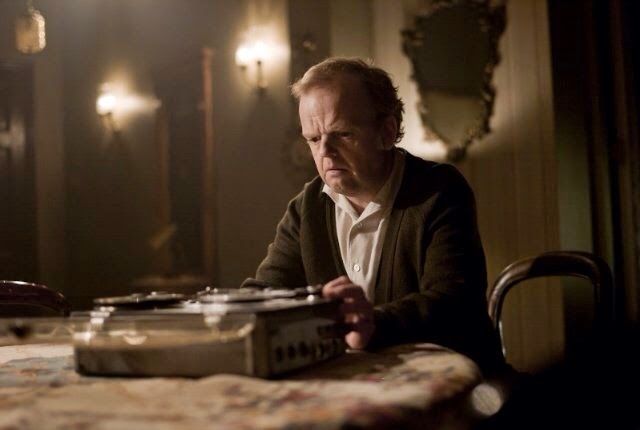 The trouble with slippery things is, of course, that they're hard to grab hold of, and Berberian Sound Studio remains opaque, asks far more questions than it answers. How much of it is real? Are we, as is suggested at the end, simply watching a film within a film? There's no definitive answer, and loose ends aplenty. It famously divided opinion right down the middle when it was screened at Frightfest in 2011. Even now, synopses of the film differ wildly and are mostly inaccurate, pitching the movie as proto-giallo when it's nothing of the sort. Which brings us to the 64,000 lire question—was Berberian Sound Studios worth Unwrapping? Yes, it was. Difficult but tought-provoking, it's at once a treatise on the craft and sheer hard work involved in getting a film made, and a warning of the cost that the process can exact on you. The people that Gilderoy encounters are, for the most part, monstrous. One of the ADR actors even goes by the nickname 'The Goblin'. Gilderoy, the very image of the innocent abroad, has no chance amongst these creatures. As a stylistic exercise Berberian Sound Studio is a storming triumph, and there's enough going on to keep you watching, and guessing, until the end. And indeed after. Enter without expectations, and you just might find yourself ensnared. Will There Be Kippers, Then, For Tea? It takes six hours, if you're prepared to drive with little in the way of breaks, from the gates of X&HTowers to Seahouses, the jewel of the Northumberland coast. Readership, I'm here today to tell you: it's worth the trip. Continue reading Will There Be Kippers, Then, For Tea? Posted on September 15, 2014 September 15, 2014 Categories Fodderblog, ramblin'Tags featured, fish, kippers, nothumberlandLeave a comment on Will There Be Kippers, Then, For Tea? in which yr hmbl whatever teases out his feelings on the new series by writing about them. Format AudioPosted on August 26, 2014 August 26, 2014 Categories Film, music, SpeakeasyTags featured, Film, music, soundtrackLeave a comment on The August Soundtrack Special!